A brilliant white bow wrapped in a boutique style bow. Two strips of golden orange sparkling ribbon adorned in a cross fashion lay on top of the white base bow. 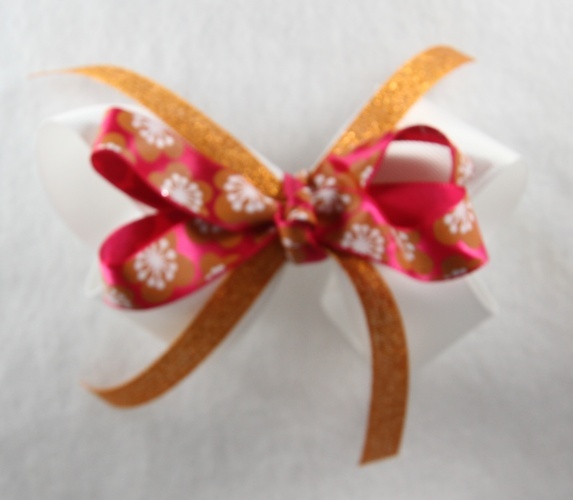 A hot pink satin ribbon with golden orange flowers and a white center tops this bow. This same ribbon is put in a French knot for the center of the bow and it is attached to a French clip.